Do you find yourself looking at your smile in the mirror and wanting to refresh and improve the appearance of your smile? Are you hesitant about committing to a lot of dental work or have multiple concerns that you’d like to address? Giamberardino Dental Care may have the right solution for your smile with porcelain veneers. If your teeth are affected by chips, cracks, gaps, stains or are misshapen, this could be a great solution for your smile. Porcelain veneers are thin pieces of porcelain that are attached to the fronts of your teeth. This allows Dr. Giamberardino the opportunity to reshape the appearance of your teeth, correcting any concerns or imperfections. 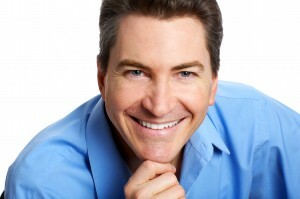 For many patients, porcelain veneers can be an attractive alternative to braces. They’re best used for small smile issues. We’ll also make sure your porcelain veneers are carefully crafted to resemble the rest of your smile for a seamless look. Porcelain is a great material because it closely resembles the appearance of natural tooth enamel, so no one will be able to tell that you’ve had any work done to your smile. This is yet another great way that cosmetic dentistry can help to improve your smile and improve your life. Give us a call if you’re interested in learning more about porcelain veneers or want to schedule your appointment. This is a simple way to make a dramatic change to the appearance of your smile.